Note: This is Part 3 of what is becoming a 3 part saga. You can read Part 1 and Part 2 to get caught up. At least I’ve reached a milestone in my life: I’ve been called a “Shill” for the first time. I just never thought I’d be called a Formula Peddler. 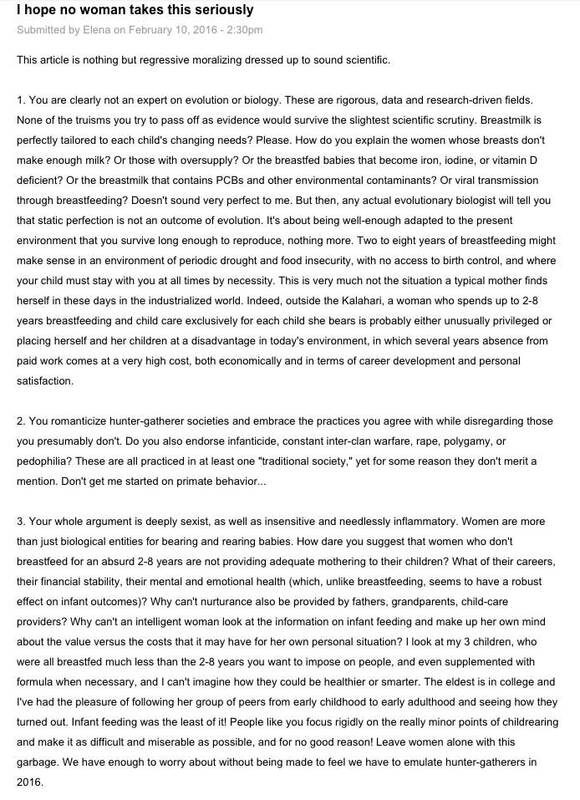 As a very brief summary, on January Dr. Darcia Narvaez Ph.D., a professor at Notre Dame University, published an article entitled: The Myth of “Breastfeeding is Optional”. It was mostly filled with the standard lactivist arguments: breastfeeding is best for the baby (a scientifically accurate statement), Infant Formula is dangerous (wholly unfounded and based in no way on scientific data) and an appeal to nature (a logical fallacy) by stating that the breastfeeding behavior of our paleolithic ancestors and aboriginal cousins today represents the optimal behavior for human health. I’ve covered why that last part is a logical fallacy in my post entitled: Prehistoric Man is not a Good Example of Human Health. 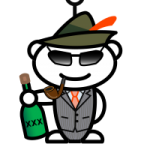 The comments section of Dr. Narvaez’s post is still recieving new comments, and I had pretty much left it alone once Dr. Narvaez began deleting my comments. You can read all of my comments in Parts 1 and 2 of this saga as I was wise enough to screen capture them. If I wrote in anything like an aggressive or trollish nature do let me know; otherwise I do not think the deletion was warranted. But Moral Landscapes is Dr. Narvaez’s blog, not mine. That is until a user named “Elena” posted a comment entitled: I hope no woman takes this seriously. (Screenshot). Please read the comment as it was a well thought out response to the entire article. After this another commenter, who I have (I think) identified as Angela Braden, the so called “Science Mommy” (I am in the process of writing a post where I will explain that she is anything but a science advocate as her name suggests). The comment is entitled: Formula Supplementation, Elena (Screenshot). That is how I explain how some women don’t produce enough breast milk. That may be how you explain it, but there is little evidence to back this up. It is true, as studies have shown, that feeding within the first hour of birth does help to stimulate milk supply, but it has not been demonstrated with anything close to scientific rigour that a lack of breastfeeding within the first hour has any direct relation to lack of supply. In fact, some research (although hardly robust due to the constraints of research in this area) suggests that the two are mostly unrelated; meaning that the evidence suggests that the incidence rate of reduced milk supply is the same (within standard error) in populations who fed as soon as possible and populations who delayed. However, this entire comment is obfuscating the point: that although medical experts agree that breastmilk does provide optimal nutrition as well as other socio-emotional benefits to both parent and child, these benefits are in no way necessary for optimal health of the child and are minimal, at best. I can tell you that *most* of the time, it’s unnatural interference that disrupts the normal establishment of milk supply. It’s either supplementation in the early hours or days after birth, or sleep training the baby which signals a slow down in production because of not emptying the breasts frequently at night, or, not nursing on-demand, which again messes up the supply and demand signals which informs milk supply. Then, all too conveniently – formula supp. is necessary. It would not have been had the baby fed freeing and exclusively at the breast for hour 1. This is wholly untrue. In fact, most hospitals in the US (I can’t speak for other nations) promote breastfeeding and mother nurturing. Most hospitals even have a standing policy that, after the baby’s first bath and weight the mother, father and baby are given 1 hour of bonding time where the mother is encouraged to feed. I’ll say it again: this is standard policy in most hospitals in the US. In fact, most hospitals will not suggest supplementation until the 2nd day after birth because research suggests that milk supply is variable and some women need additional stimulation to begin their milk flow. It is only after the child loses more than 10% of their initial birth weight that supplementation is suggested, according to standard medical practice. The reason for this should be clear: although there are benefits to breast milk these are minimal and are outweighed by the detriment posed by an underweight baby. Simply put: it’s best to have a supplemented baby at the correct weight than a breastmilk exclusively fed baby at a lower than normal weight. But your view is alarmingly anti-science, which is depressing given that you call yourself, on your blog, the “Science Mommy”. Medical professionals have studied the optimal practices for childbirth and child health for centuries and are continuously updating practices to suit what the evidence suggests create the best health outcomes for babies. The current practice of supplementing if the child begins to lose weight is backed up by decades of evidence. Furthermore you are ignoring a reliable, science based alternative to stimulating milk supply: pumping. Pumping has been demonstrated to effectively promote milk supply, especially in babies who are being supplimented while a mother’s supply is low. 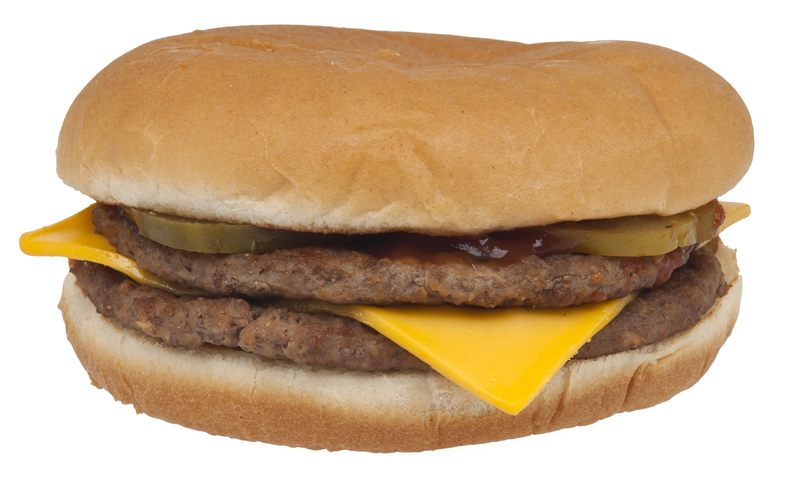 This is a science-based intervention that, thankfully our modern era has given us access to. You are also falling victim to the idea that if women fully meet the biological roles that babies demand, their professional success will suffer. When that’s true, it’s because the father, extended family, and society infrastructure is not supporting the important biological role of women. Why shouldn’t feminism support all aspects of womanhood, including motherhood? The fatal flaw here is society doesn’t value the necessary nurturing a mother provides. If it did, it would not put her at a disadvantage financially. This is what should infuriate feminists, rather than rail against the natural needs of babies, which includes breastfeeding. You seem to fail that the key facet of feminism is giving women choice. Some women may choose to exclusively feed, others may not. 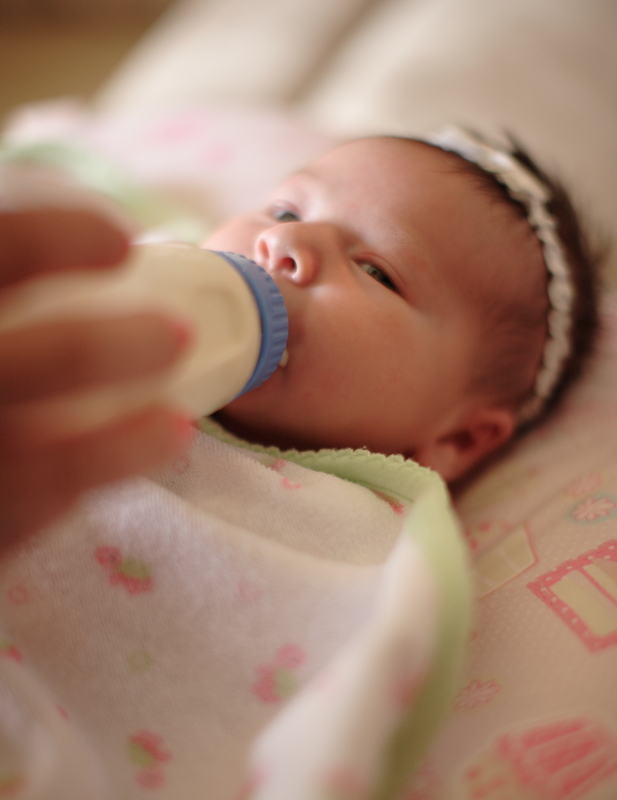 Formula feeding offers a safe alternative when the mother cannot, or chooses not to, breastfeed. This is what feminism is entirely about. Giving women the support they need for the choices they make. I agree with your statement about women needing more support, both financially and in regard to societal pressures. What is the point? The woman should have all the support she needs, and infant formula is one mechanism of giving her support, if that’s an intervention she so chooses. You talk about natural needs. You need to stop using the word natural. It’s not natural to give birth in a hospital, yet hospital births result in lower infant mortality. It’s not natural to use infant formula; yet this intervention has saved baby’s lives when mothers can’t feed or can’t produce enough milk. These appeals to nature are useless pseudo-scientific nonsense. Instead we should be asking ourselves: what does the child need to promote optimal health? And are there other, artificial alternatives that promote optimal health within a reasonable degree of similarity to the natural method. And the answer is quite simply yes: infant formula. As another commenter pointed out, the “natural” method isn’t even necessarily the best. Using hunter-gather cultures as a baseline in determining optimal health is wholly without merit because all evidence points to the human species flourshing after we left the hunter-gatherer model and moved to an agrarian society. In fact, as technological advances increase, so does life expectancy and population. There is no reason to suggest that taking data from the way our ancestors lived is in any way a good indication of optimal behavior or health practices. You’re a formula peddler! Supplement only for emergency. Ah, we must suspect your motives. You appear to be pro-formula, not pro-baby, and you hide behind women’s choice as a trump card. Pseudo support of mothers for your own purposes. To use formula as a baseline for what is normal, as you do, suggests you benefit from its sale. Not true but formula companies want us to mix up information are you are doing, just like tobacco companies did for decades, hiding the truth from the public about its harms; just like oil companies are doing now with climate change–mix everyone up on what is true and your profits continue. You display ignorance about what is really happening in hospitals. You fail to mention the data that got the US government to promote baby friendly (breastfeeding friendly) hospitals in 2011 when only 96% undermined baby wellbeing in one way or another. Formula is related to all sorts of health risks. The last I heard in 2015, only 12% of hospitals are baby friendly. Sounds like you are against that shift in hospitals because formula sales will go down. Enough of your infant formula PR already. The screenshot of this comment can be viewed here. Throwing suspicion on my motivations rather than addressing the actual points I brought up is known as a shill gambit. This type of diversionary ad hominem adds nothing to the conversation. Even if I were an employee of the formula industry (I am not, more on that later) the source of the information has nothing to do with its accuracy. Either the argument is valid or it is not. Surely you know this. For the record I am not pro formula. I accept the findings of the scientific community that, all things being equal, breastfeeding provides optimal nutrition and socio-emotional benefits. When have I ever said anything different? However, I also accept the scientific consensus that, when breastfeeding is not available (for whatever reason, including but not limited to, personal preference) formula offers a reasonably similar alternative in terms of nutrition and other indices of health and emotional outcomes. To say that infant formula is “unhealthy” is simply unscientific and goes against the bulk of scientific knowledge on the subject. and you hide behind women’s choice as a trump card. Pseudo support of mothers for your own purposes. I suppose women’s choice is a trump card, in a sense. Do you not support a woman’s right to choose what she does with her own body? I should think that this is a fundamental right that does not end once a woman gives birth. There’s nothing “psuedo” about my support for mothers. To use formula as a baseline for what is normal, as you do, suggests you benefit from its sale. Here we have a shill gambit mixed in with a straw man attack. 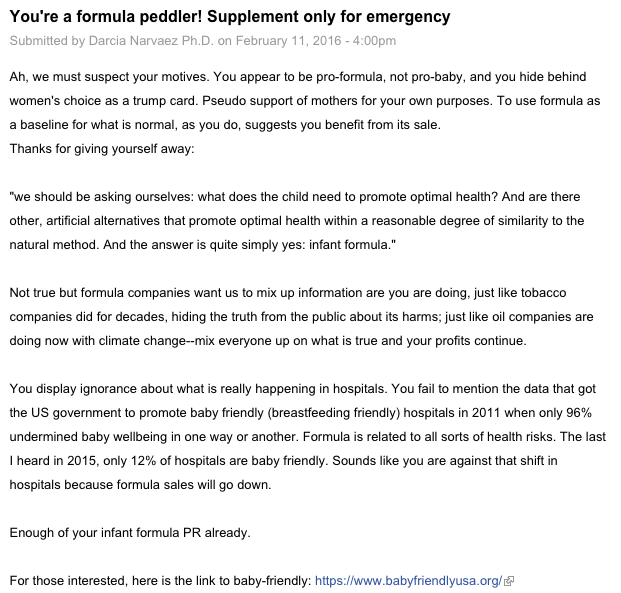 I never once wrote that we should use formula as a “baseline for what is normal.” What I said, and you were kind enough to quote me, was that formula offers an alternative to breastmilk that promotes health and wellness on similar indices within a reasonable (although reduced) range of outcomes. Not true but formula companies want us to mix up information are [sic] you are doing, just like tobacco companies did for decades, hiding the truth from the public about its harms; just like oil companies are doing now with climate change–mix everyone up on what is true and your profits continue. 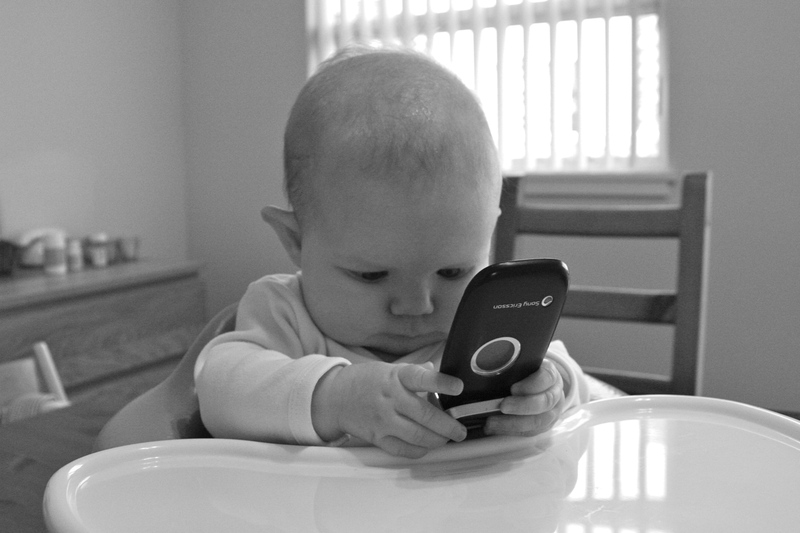 Again you seem to believe that I gain a personal profit from promoting formula feeding. This is factually wrong on two accounts because 1) I do not and 2) I’m not even promoting formula feeding, as I’ve addressed numerous times above. These are the kinds of accusations one would expect from Alex Jones, not a PhD Psychologist at Notre Dame. The difference here is that although tobacco companies and oil companies did obfuscate data, other, independent scientists found different results. The scientific consensus is what we should worry about, not some hypothetical cabal of industry funded shills bent on clouding the data. What is the scientific consensus? As I have stated numerous times in this thread (and has been verified by impartial, non-industry funded research) breastfeeding, all things being equal, is preferred. If that is not available, infant formula offers a reasonably healthy alternative that, although does increase the risk of certain negative outcomes, these risks are so slight as to pose no credible risk to the child’s health. It’s all about actual risk, not relative risk. Focusing on relative risk of a negative outcome (which may in fact be a 2x or 10x increase) while ignoring the actual risk is a base rate fallacy. You cannot ignore the base rate when making these risk assessments. Perhaps you and I are reading different statistics. The data I have read indicates a general trend in hospital staff to promote both mother/child bonding within the first hour of birth as well as a promotion of breastfeeding for nutrition. Are you getting your information from a government resource that tracks hospital policy or from the baby friendly website you linked? Regarding your statement about risk, again you are ignoring the very important caveat of relative risk vs actual risk. Let us look at the data for SIDS, which is the only credible risk you brought up in your article. A recent META-Analysis indicates that breastfeeding reduces the rate of SIDS by 36%. However, since the actual risk of SIDS is so low (0.04% according to the CDC) that a 36% reduction changes the risk to 0.03% (with rounding error). If we ignore the base rate (which again is less than 1/10 of 1%) and focus only on the relative risk (which is in fact only roughly 1.3%) one might be alarmed by these statistics. But again, the base rate is so low that even though the risk increases, it doesn’t increase by very much. A simple application of Bayes’ theorem will indicate an actual risk of less than 1%. These are such minor differences that we can reasonably take other factors into consideration when determining what the best course of action for the mother and the child is; namely (as I wrote in my previous comment) weight gain. If, for example, a mother is attempting to breastfeed and her milk, for whatever reason, is not providing ample nutrition such that the child begins to lose more than 10% of their body weight then the decision to supplement is entirely appropriate and medically warranted as any health care professional will tell you. It’s not enough to speak of risk. Everything has risks, from driving a car to the decision (made for whatever reason) not to breastfeed. It’s all about actual risk and, as the data shows, the actual risk posed by formula feeding is so minimal that, in real world applications, infant formula is a perfectly safe and healthy alternative to natural breastmilk. A screenshot, of course, can be viewed here. (As an aside, please don’t hold the math I posted to too much scrutiny; it was late and I was doing the calculations on my iPhone’s calculator so there will be quite a bit of rounding error. In addition I was using quick and dirty stats, not a full Bayesian analysis, just to prove a point. But it should be in roughly the correct area, mathematically). Dr. Narvaez posted her comment at roughly 2PM PST on 2/12/16. I know because I received an email notification of her response. I posted my reply at a little before midnight on the same day. By 10 AM today (2/13/16) the entire thread had been deleted, starting with my reply to Angela, then Dr. Narvaez’s reply to me, and then my following reply. If you click on the live link you’ll still see Elena’s original comment, Angela’s response, and Elena’s following response. I can’t say that I’m surprised. 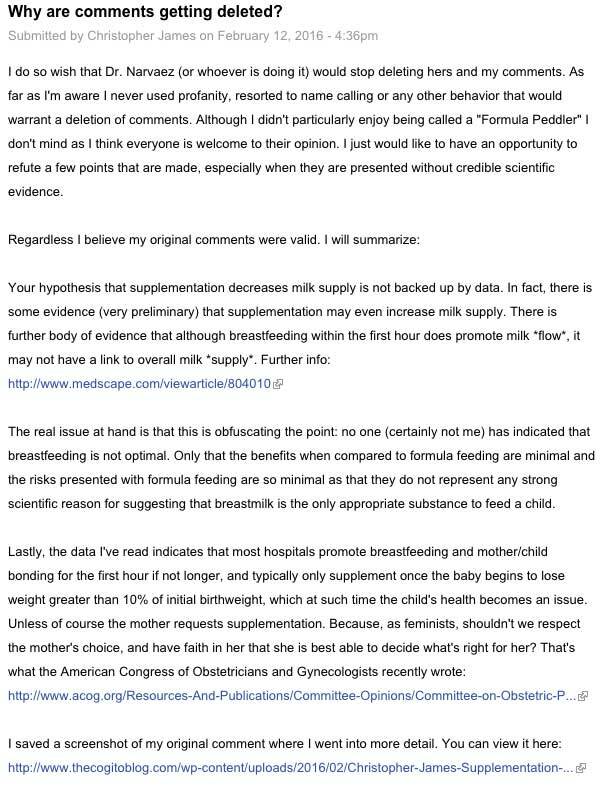 Dr. Narvaez seems perfectly willing to respond with ad hominem attacks to defend her arguments that infant formula is unhealthy and dangerous. I think that my responses have shown that this is far from the case. This is not the behavior of an intellectually honest academic. Rather, this is the behavior of an individual who is unwilling to take a critical look at beliefs that differ with her own, and is unwilling even to apply a critical eye at her own beliefs. I do so wish that Dr. Narvaez (or whoever is doing it) would stop deleting hers and my comments. As far as I’m aware I never used profanity, resorted to name calling or any other behavior that would warrant a deletion of comments. Although I didn’t particularly enjoy being called a “Formula Peddler” I don’t mind as I think everyone is welcome to their opinion. I just would like to have an opportunity to refute a few points that are made, especially when they are presented without credible scientific evidence. The real issue at hand is that this is obfuscating the point: no one (certainly not me) has indicated that breastfeeding is not optimal. Only that the benefits when compared to formula feeding are minimal and the risks presented with formula feeding are so minimal as that they do not represent any strong scientific reason for suggesting that breastmilk is the only appropriate substance to feed a child.